Home » Employee Engagement » Happy employees? Aim for a 9+! Scientific evidence shows that being happy at work has all kinds of benefits: happy employees are better at collaborating, are more productive, healthy and creative and are less prone to stress than their less fortunate colleagues. Focusing on happiness at work, therefore, is the right thing to do. Together with research partner Steda, the HappinessBureau has been studying happiness at work for years. Early 2018, we created a benchmark for happiness at work in The Netherlands, based on a survey involving over 1,800 Dutch employees. We measure happiness at work looking at two sides of the same coin: how the employee experiences his own job and how he values the organization. Both are responsible for happiness at work. For the former, we use our P3F-questionnaire, with which we map personal well-being using three components: Purpose, Flow and Fun&Friendship. These are based on Martin Seligman’s scientific work on positive psychology. For the impression of the organization, we use a questionnaire based on our own HEART-model, which consists of five themes: Happy culture, Energizing work environment, Agile leadership, Redesign the employee journey and Technology that works for you. One of the most striking outcomes of our benchmark study, was the difference between experiencing happiness at home and at work. Employees and managers feel happier at home, while senior managers feel equally happy at home and at work. What causes this difference between senior managers and others? The answer might vary between organizations, but nevertheless our study shows how senior managers experience their work and organization differently. Senior managers experience more autonomy, a better value match, more support from the organization to produce results and more chances to learn. Also, the top management feels that the organization is busy finding solutions rather than sticking to problems. The well-being gap between senior managers and the workforce is a potential threat to the company’s growth and development. But before you start strategizing how to transmit senior managers’ positive attitudes to the employees, you should ask yourself: how high are we going to raise the bar? 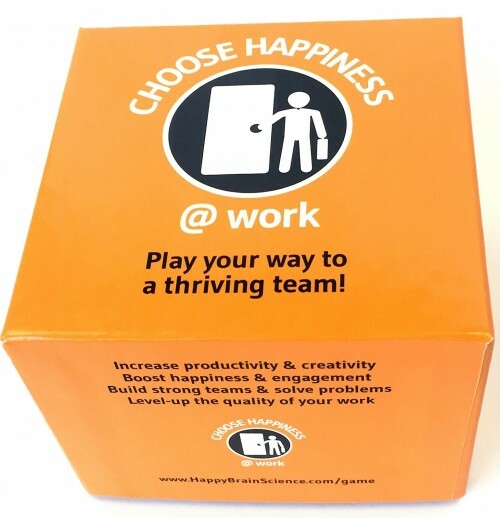 What is the norm for happiness in our organization? In order to answer those questions, you need to look at the employee Net Promoter Score (eNPS). The extent to which employees recommend the organization as an employer, indicates the organization’s recruiting power – an index in strategic recruitment. The eNPS is a way to measure recruitment power and is based on one question: ‘On a scale from 0 to 10, how likely is it that you recommend this company as a place to work?’ The outcome determines whether an employee is a Detractor (score 0-6), a Passive (score 7-8) or a Promoter (score 9-10). The eNPS is the percentage of Promoters minus the percentage of Detractors. Our benchmark shows that the overall percentage of Promoters in all sectors in the Netherlands is 18. The Detractors constitute 28 percent. Consequently, the eNPS in the Netherlands is -10 – which is in line with the European average. The degree to which employees recommend their employer, is strongly linked to their happiness at work. The illustration below shows the correlation. Of the employees who score their happiness with a 5 or lower, 88 percent are Distractors, and close to none are Promoters. From a happiness score of 8, the intention of recommending increases. Employees who score 9 or higher on happiness, are the ones having an actual positive impact on the eNPS. In the Dutch benchmark, the eNPS varies from -86 (happiness score of 5 and lower) to +57 (happiness score of 9 or higher). A high eNPS is important, because it addresses the outer world – where the war for talent is getting worse every day. A high eNPS correlates with happiness in the company and therefore with the organizational distinctiveness. Measuring both happiness and eNPS, even though they correlate, has the advantage of monitoring both the individual perspective (happiness at work) as well as the organizational interest (recommendation). The combination is a useful framework for HR and management. Our advice: raise the bar high and go for the 9+. How? By choosing a customized approach. In the figure below, all respondents of the Dutch benchmark have been distributed into nine categories, according to their happiness score (3 groups) and their willingness to recommend their employer (3 groups), with happiness along the horizontal axis and eNPS along the vertical axis. The goal is to have as many employees as possible in the green zones, and as little as possible in the red zones. Both these groups are the culture bearers of your organization – in a positive and negative sense. Clearly unhappy employees who wouldn’t recommend their employer (the respondents in the red circle) can potentially develop into a strong negative force within the company: criticasters who have mentally ‘dropped out’ and feel unheard or lost. Our benchmark shows that a lack of attention from management is an important negative incentive for this group. Also, wrong or badly understood KPI’s and demotivating performance assessment can be problematic. Whatever the problems are, solving them requires a specific approach and energy. What to do, depends on the situation – therefore, the first step is listening to them. The other side of the matrix above, needs a different kind of energy. The respondents in the green circles are your ambassadors. They are happy at work, have fun and can be their true selves at work. You want to learn from their positive incentives to know what’s right in the company and why. Also, make sure employees have social interactions, during which everybody can pick up some of that positive energy. In our third analysis, we looked at the statements on which criticasters and ambassadors disagreed the most. The five statements below underline once again the gap in perception between the two groups. In every organization, there are positive culture bearers, negative culture bearers and a middle group. As an HR manager, you will have to decide on a strategy for each of them. For criticasters, only talking about the ‘higher goals’ isn’t going to be enough to motivate them. You will have to (help them) fix their problems at work. And as for the ambassadors: it’s okay to ask them about their ‘why’ and if they would like to be more involved in the organization. Our Dutch benchmark will help you with good general insights, but eventually you will have to analyze the specific situation for your organization. From there, you can start to improve.